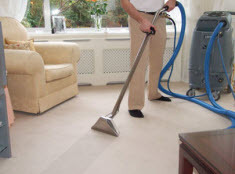 Leading Carpet Cleaning supplies a number of carpet cleaning and related services to the commercial businesses and residential homes of the Greater Hartford, Connecticut area. We are completely licensed and insured to provide our professional expertise and services to the community at affordable rates. Our technicians are more than qualified to perform the tasks associated with our services; having advanced and ongoing training, experience in the field, and remarkable skills. With the use of high-end products and equipment sold only to licensed professionals, Leading Carpet Cleaning can ensure maximum results. With Leading Carpet Cleaning you can expect more than just superior quality workmanship, as we diligently apply high morals, exceptional work ethics, and friendly customer services on consistent bases to stand out among competitors. Leading Carpet Cleaning has compiled a frequently asked questions list concerning carpets for our commercial and residential customers in Greater Anaheim, CA and surrounding areas an effort to extend our customer service online for your convenience. If you have any additional questions, please feel welcome to contact Leading Carpet Cleaning with no further obligations. Question: How do professionals clean carpets? Answer: Being certified in all methods of cleaning, Leading Carpet Cleaning executes most effective method to ensure your carpets are as clean as possible. Taking the type of carpet into account as well as the blemishes and odors as well, our expert will clean, sanitize, and deodorize your carpets. Question: Does it take long for carpets to dry? Answer: It can take between 2 and 6 hours to dry on average with a few contributing factors determining the length. The carpet will be damp to the touch following a cleaning. The circumstances include current weather conditions, room temperature, air flow, and overall condition of the carpets this so time can vary. Question: Can over saturation ruin carpets and carpet padding? Answer: Over saturation can ruin carpets and padding by creating mold and water damage. During the carpet cleaning procedure Leading Carpet Cleaning only uses enough water to pull out the water for a thorough cleaning, padding is well cared for and will not be over saturated. Powerful equipment extracts excessive water and cleaners to ensure quick drying, but thorough cleaning. Question: Can the carpet’s overall condition be compromised with a professional deep carpet cleaning? Answer: Modern technology and cleaning procedures providing by a trained professional can deteriorate carpets; cleaning only improves the overall condition. The buildup of grit, grime, and debris in your carpet in combination with foot traffic creates abrasion that breaks down your carpet’s fibers. Carpets should be professionally cleaned once a year, more frequently in high traffic locations or to remove stubborn odors or stains. Question: What are the dark lines found under doorways and next the baseboards? Answer: These dark lines are found on most carpets, the lighter the carpet, the more obvious it is. This issue is known as filtration or soiling; it is created when air passes through the carpet and the accumulated soil gets pushed up through the crack between the carpet and the baseboard or under a closed door where there is a seam. 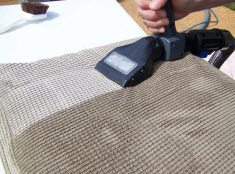 This particular stain can be a challenge to remove to the average homeowner, but Leading Carpet Cleaning has the expertise and paraphernalia to remove it. Question: Why can’t I remove pet odors? Answer: Many homeowners experience difficulty removing pet odors. 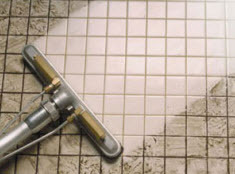 Urine especially, penetrates deep into the fibers where in order to remove the odors; the deep stain needs to be removed. Leading Carpet Cleaning experts can treat pet odors, leaving your carpets fresh and clean. Question: Are your cleaning and treatment applications safe? Answer: Our eco-friendly products and durable equipment is tough on stains, odors, deeply seedy debris, but safe for your carpets and those who reside inside your home. Question: Does Leading Carpet Cleaning have the necessary credentials to perform professional carpet cleaning and treatment services? Answer: Leading Carpet Cleaning is completely licensed, insured, and bonded as we are an authentic business ready to offer our services to the community of Hartford County. Contact Leading Carpet Cleaning for all your floor and upholstered furniture cleaning and restoration needs.